Excellent news! 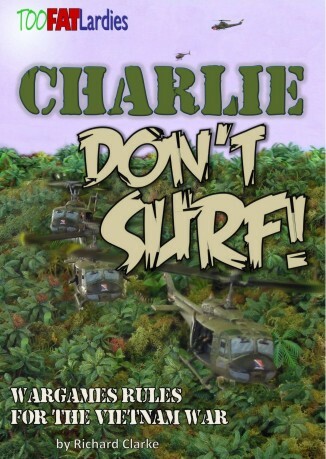 Charlie Don’t Surf is now up for pre-order at the Too Fat Lardies website. Also included in the new releases is Surf’s Up! which is a scenario book companion to the game. I had a quick exchange of email with Rich Clarke, and it seems that my idea of being able to game these rules in 3mm with bases of fire teams and single vehicles should work well, so these are definitely on my shopping list. 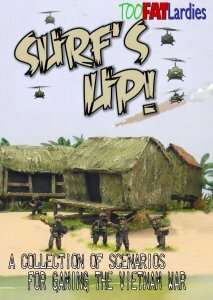 £9 for the PDF (£7 for Surf’s Up!) or £15 for a hardcopy. Not a bad price at all. The rules are released on the 31st May.